SOTI MobiControl Cloud is ISO/IEC 27001 certified. This is a global standard (that includes ISO/IEC 27002 best practice guidelines) for managing the security of information assets. It provides the requirements for an Information Security Management System (ISMS). ISMS is a systematic approach to managing and securing sensitive information, by involving personnel and by applying risk management processes to IT systems. SOTI has policies in place to reduce the risks associated with managing information assets. These policies address the controls in the ISO 27001/27002 standard. Click download below to view our Security Policy Essentials. Compliance - Adhering to these regulations is the best way to ensure data protection, privacy and effective IT governance. SOTI is continuously audited for compliance. Market Advantage - SOTI sets itself apart from the competition by assuring clients that their sensitive information is safe and secure. Many customers require certification before doing business with SOTI. Reduce Expenses - Lower expenses caused by security incidents, such as service interruptions, data leakage or the harmful actions of individuals (whether accidental or intentional). Orderly Business Growth - SOTI is a growing company. Therefore, it is important to identify whom responsible for: information assets, what are the duties of key people, and who can authorize system access. In the event of a suspected security incident, please report the incident to the SOTI Safe team by calling this toll-free number +1 888 624 9828, then SAFE (or 7233). Leave a voice message with contact information and incident details. Please provide contact information and incident details. Alternatively, send this information SOTI.Security&Compliance@soti.net. 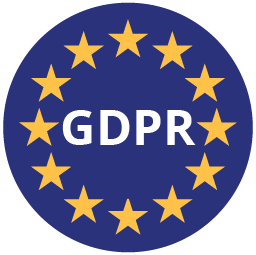 SOTI is committed to making sure that its products and services comply with the General Data Protection Regulation (GDPR). The GDPR exists in the European Union (EU) to set a strong standard on data protection and privacy for an individual's personal information within the EU. SOTI has implemented processes and has provided contractual commitments to ensure that personal information collected, used, or stored, outside of the EU by SOTI (or its service providers and corporate affiliates), is safeguarded and protected. The GDPR provides rights to individuals in regards to their personal information if they believe their personal data protection rights have been violated. Any questions or concerns regarding SOTI and your privacy rights, please direct privacy issues or concerns to privacy@soti.net. For more privacy information, see SOTI’s Privacy Mission Statement. For the report of any security incidents that do not impact your privacy rights, please submit them to SOTI Safe, as described above.